My new love of all things coconut shows no signs of abating. Over the past few months I've attempting to convert friends and family to the brilliance of coconut oil, but they have stopped listening to my ramblings now and generally run in the opposite direction if they see me wielding a pot of it, so I'm afraid you're stuck with me instead. 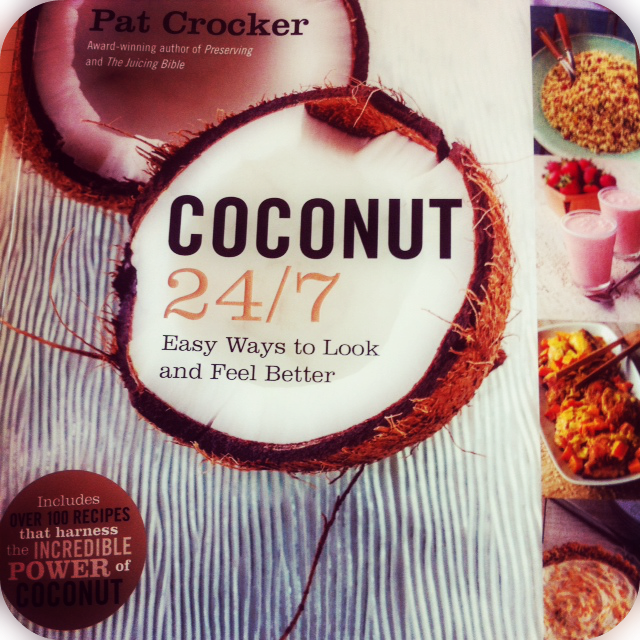 I've been using coconut oil for cooking and as a body moisturiser for some time now, and have recently added coconut water to my weekly shopping list for breakfast smoothies and post workout drinks, but things have stepped up a bit since receiving Pat Crocker's new book - Coconut 24/7. The book is packed with facts and information about each different product of the coconut - from the milk to the pulp to the oil and much more. Each It's a great way to build up knowledge of which form is good for what, and why. 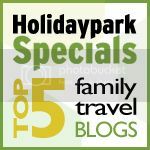 It also contains heaps of recipes for treats, meals, drinks, and a small section on home-made bathroom products like hair conditioner, hand cream and face masks. 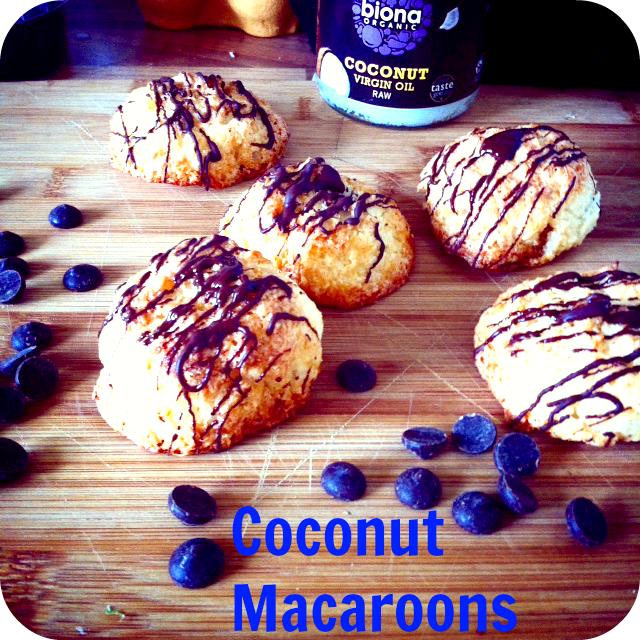 I started off small and adapted the very simple recipe for Coconut Macaroons. These are so easy I made them with my 5 year old - and he did most of the making. The end product is delicious, and they've been going down a storm in the kids school lunch boxes. Heat the oven to 180 degrees and line a baking tray with parchment paper. Whisk the egg whites until frothy. Add the sugar and mix well. Add the grated coconut and mix again. Use a dessert spoon or wet egg cup to make 'mounds' on the parchment paper. Make sure they aren't too close together as the mixture will spread slightly in the oven. Bake for 15-20 mins until light golden brown. Drizzle some melted chocolate over the top and try to wait for it to harden before devouring the sweet, golden, chewy delights. Next week I'll be moving from the kitchen to the bathroom and making a gorgeous coconut body scrub. Perfect for gifts! Disclaimer: I was sent a copy of Coconut 24/7 by Harper Collins.